It was established in 2006 as a reaction to the (poor) cultural policy and state of affairs in the society of that time. The aims of this organisation are as follows: popularisation of the contemporary artistic scene, stimulation of international cooperation, examination of the role of the audience in cultural events, interdisciplinary research and experiments, promotion of street art and raising cultural awareness through education. Fields of activity of “Inbox” are therefore festivals, street art projects, performances, specific projects, exhibitions, workshops and lectures. Among other activities, “Inbox” also organises the Street Musicians Festival, which has been taking place since 2000 and which has had the status of the European Cultural Festival ever since 2012. It is a non-governmental and non-profit organisation which was established in order to achieve goals in the areas of inclusion, culture and education. Among the tasks these young people set for themselves, there are different top-priority activities such as animation, interactive workshops and multimedia programmes, along with the creative approach to creating a tolerant, non-violent educational environment of different population categories, inclusion of marginalised groups in all spheres of the society, promotion of inclusive education, exercise of basic human rights such as the right to be different and so forth. “Creative Drive” thus gathers experts in the abovementioned areas and collects and processes professional literature, organises volunteer activities and cooperates with many different governmental and governmental organisations. As a humanitarian settlement in the vicinity of Novi Sad, it is intended for children who have been deprived of parental care for so many different reasons. 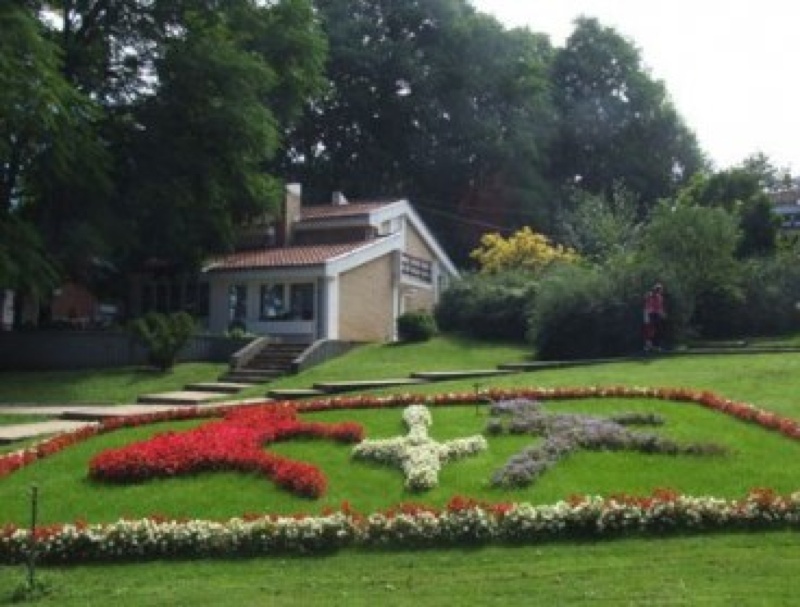 It was opened in 1975, as a hundredth in the group of similar projects in the world under the auspices of the international organisation “SOS Kinderdorf”, established by a humanitarian Hermann Gmeier, driven by his generosity and universal altruistic ethics. Ever since its establishment, it has been integrated in the social protection network of the Republic of Serbia with the founding rights of the Autonomous Province of Vojvodina. Organisation and the concept of activities are in line with the legislation of the Ministry of Labour and Social Policy, which ensures openness and flexibility in the social protection system. Since its establishment, thousands of youngsters deprived of basic parental care and family warmth have found their refuge in this village. 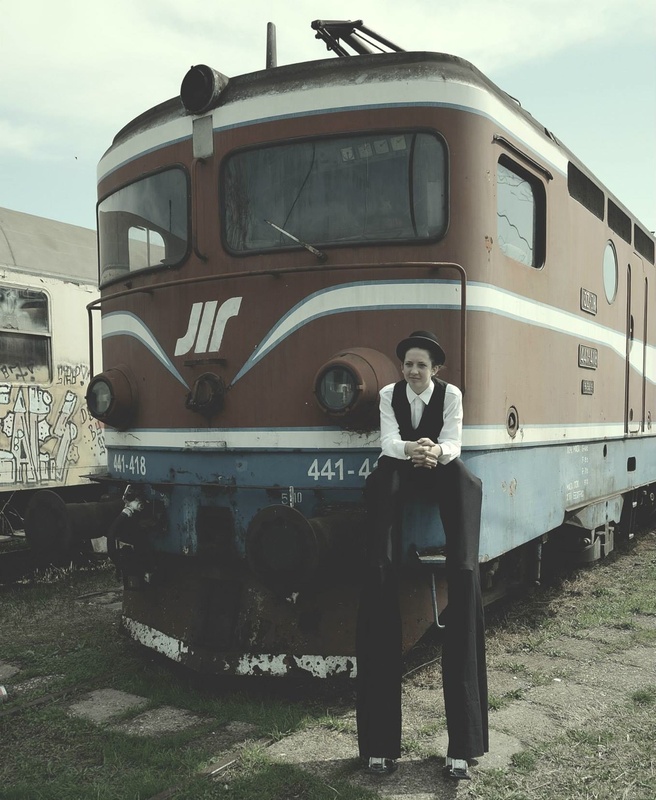 The “Ghetto” theatrical troupe was formed in 2003 in Laplje Selo near Gračanica, and its main field of activity is in the area of theatrical plays for children and young people. About 20 talented people from different parts of central Kosovo work within the theatre and the plays of this troupe are in fact intended for their progress and growth. “Ghetto” also works with Kosovo Albanians` troupes and it was a part of the great multiethnic performance entitled “The Longest Winter” within the “Missing Persons” Project. 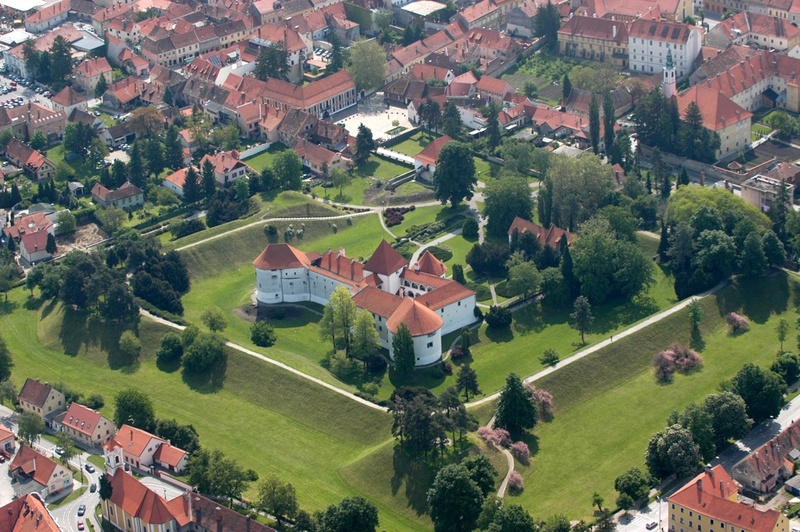 Taking advantage of its status within the legislation framework, the Tourist Community of Varaždin creates and organises various activities which will strengthen the tourist offer of this part of Croatia. As a result of this, there is a whole range of interesting cultural and tourist events taking place in Varaždin, such as Špancirfest, Summer in Varaždin, Trash Film Festival, Baroque Evenings of Varaždin, Days of Performance and other events of local and of national importance. 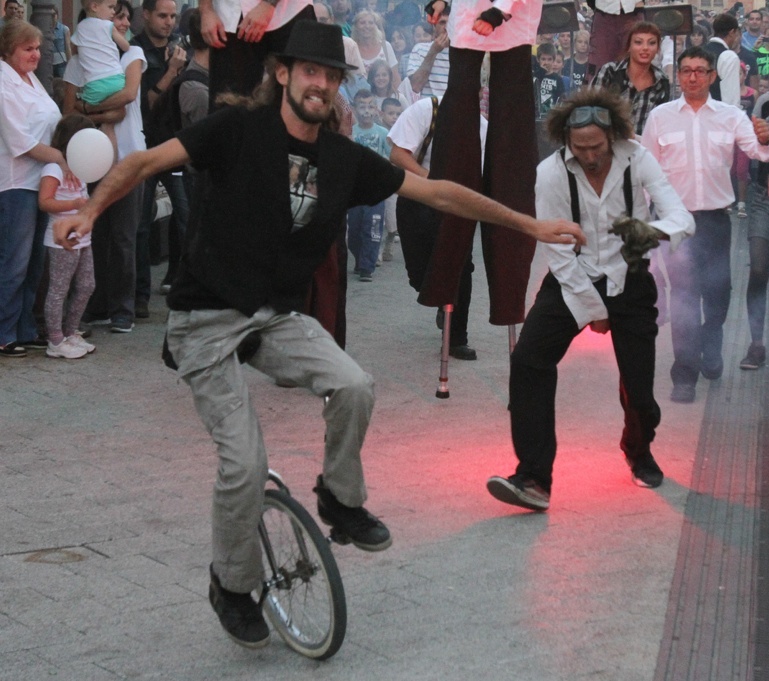 The greatest event in this city is the street art festival Špancirfest, with more than 200 unique programmes like theatrical plays, music concerts, folk art workshops and various exhibitions which are visited by as many as 200,000 people every year. The “Art Contact” non-profit organisation is committed to creating and supporting artistic and cultural events at the local and national level as well as the international exchange in the areas of culture and art. The activities of the organisation are focused on finding new meanings in art, individual approach to creation, experiments with expressive reality and exchange of ideas and information. 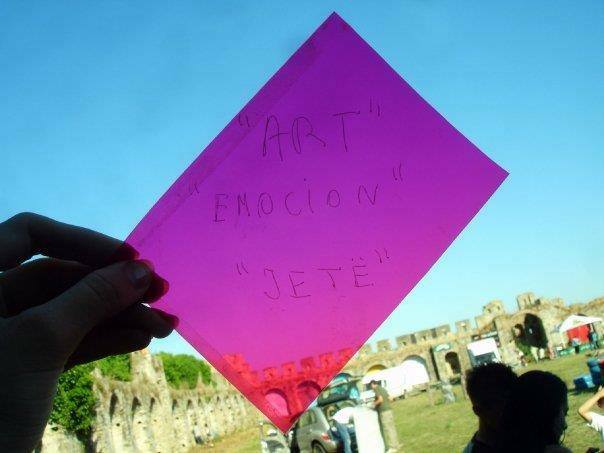 Visual art in direct contact with social and political environment is in the focus of “Art Contact” and the research is carried out at the individual and collective levels in different cultural disciplines. This is a renowned street theatre troupe gathering artists of rich international experience in the area of street art which they have been gaining both in “Kapilotraktea”, as well as through cooperation with attractions such as “Malabar”, “Hana B”, “Naftalin” (Mothballs) and others. 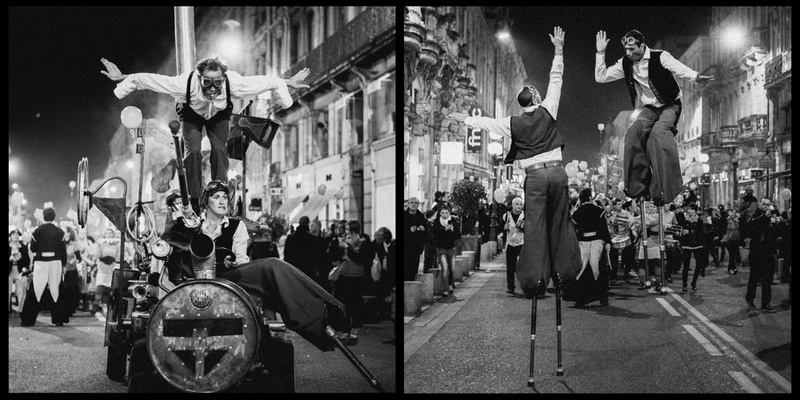 This group of French artists specialises in contemporary circus skills and street performance such as handling the rope, pyrotechnics and clown shows. 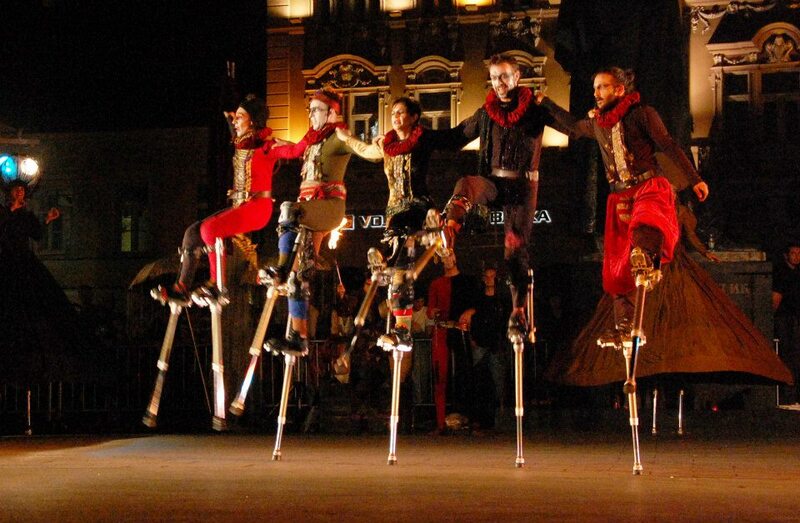 Shows of this troupe are unique in terms of various imaginatively designed mechanical devices which set the events in motion and complete them during their performances. “Kapilotrakte” are always eager to share their knowledge with others so they often organise workshops for circus skills, street art and other areas of their activity. Recognised as unique and innovative, artists who have been part of “Helix” Street Theatre since 1987 are considered to be members of the leading group of this type in Greece, as the oldest European cultural environment. They primarily engage in the research of modern and original forms of stage expression which they successfully present through numerous art projects mostly inspired by Ancient Greek mythology. The group comprises ten regular and several associate members and they are all highly trained for various disciplines of contemporary circus and street theatre. Members of “Helix” also successfully organise Istfest, an international street theatre festival which takes place in their hometown – Athens.